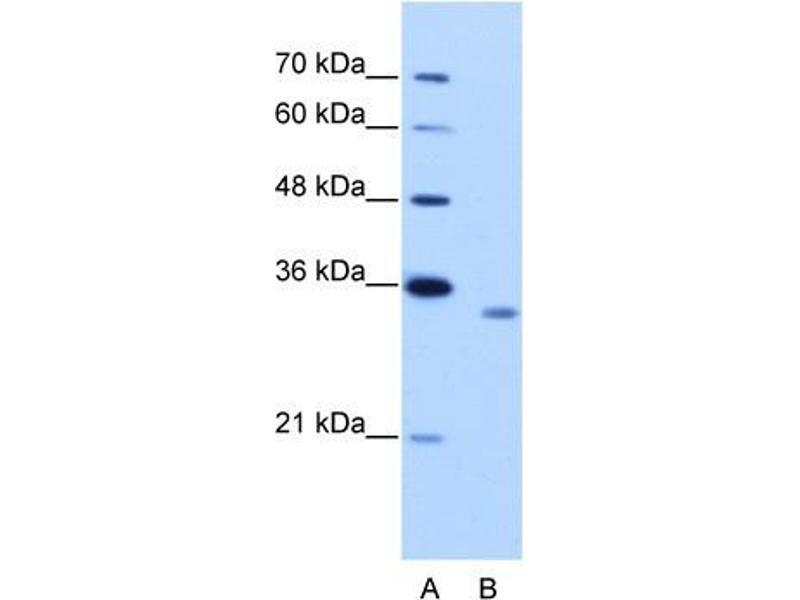 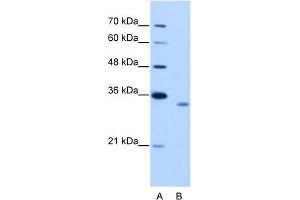 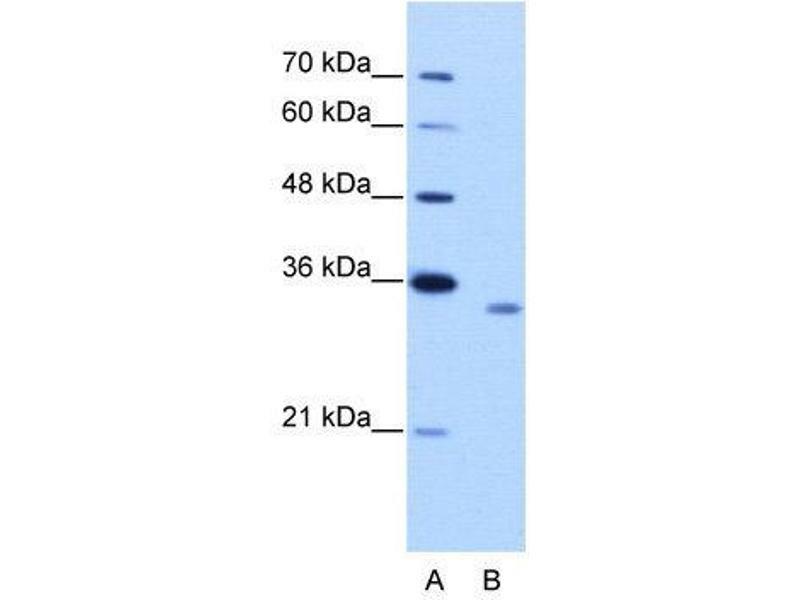 Characteristics This is a rabbit polyclonal antibody against RBM4B. 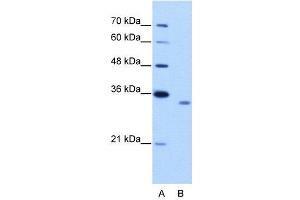 It was validated on Western Blot and immunohistochemistry. 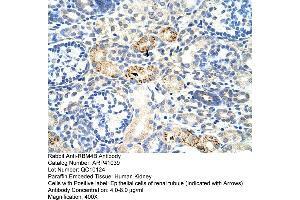 Background RBM4B contains 1 CCHC-type zinc finger and 2 RRM (RNA recognition motif) domains. 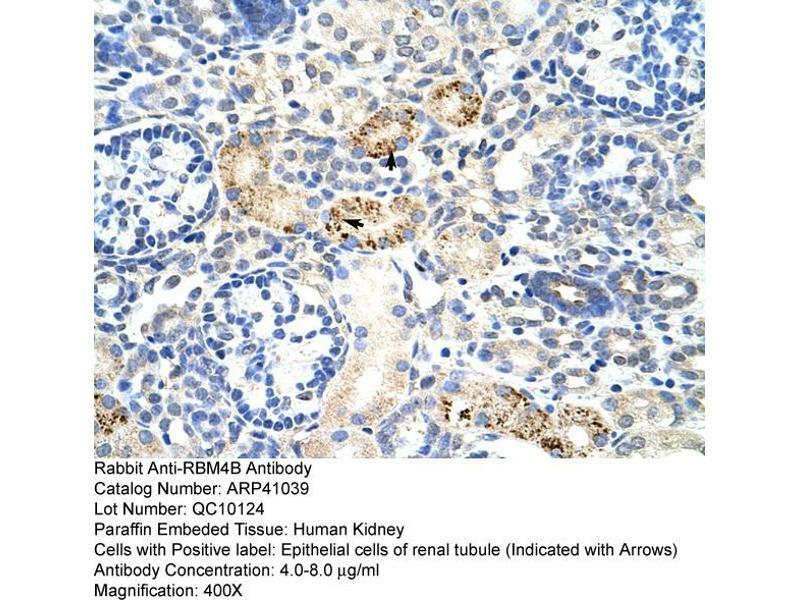 It may play a role in alternative splice site selection during pre-mRNA processing.